David Freeman Cert Ed., B.A., M.Phil. 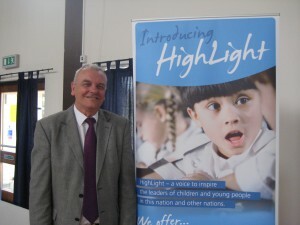 David has over 40 years’ experience in state and independent schools. He was the founding head of The King’s School near Oxford which has a consistently high record of academic and character achievement. He was head for 17 years and later, was one of four directors of an Ofsted-approved schools’ inspectorate. For many years, David has pioneered schools. He also trains teachers, envisions parents and mentors leaders in the UK and in Canada, Poland, Kazakhstan, India, South Korea and many African countries. David is also Honorary Principal of a school in Seoul. He brings all this experience to his work in the UK and as an independent education consultant abroad. He is the author of several book, most recently, “Diamonds Lost in the Sand”. Fiona has worked for 30 years in the education, church and youth arenas, teaching, mentoring and inspiring children and young people. She was the Principal of an Independent Christian School for fourteen years and also a team inspector for an Ofsted-approved Schools Inspectorate. 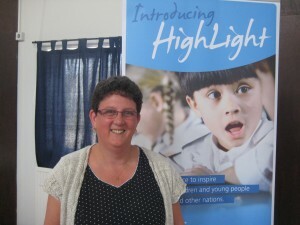 Fiona is currently working as a Deputy Head Teacher of a Primary School in London. Len has worked with David Freeman for many years as an advisor to leaders in the UK and in several countries. He was involved in pioneering The King’s School near Oxford, contributing significantly to the leadership as both a parent and a trustee. 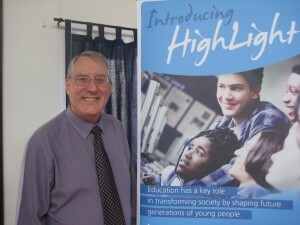 His passion is to promote and communicate Christian values, encouraging and challenging schools in their application. Dr Matt Finn B.A., M.A. Research Methods, PhD, P.C.A.P. Matt is a Lecturer in Human Geography at the University of Exeter, UK. His teaching and research focuses on children and education. His PhD was on the role of pupil data in education and the implications this has for the ways that pupils and teachers think about the future. He was previously a part-time secondary school teacher. 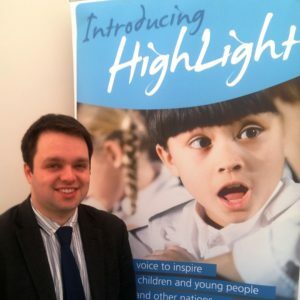 Matt contributes from his experience and expertise to the work of HighLight. He works to see all learners (whether pupils or students and all connected with education) grow in curiosity and understanding, and discover the particular ways they can make a difference in the world.